Today, (All Hallows Eve) begins the traditional ‘holiday’ – the Day of the Dead – that spans All Saints’ Day and All Souls’ Day. There is a cemetery near our house here in Spain and at this time of year it is inundated with visitors, who tend the graves of their loved ones, taking flowers and food, sometimes having a family picnic, to remember and honour the dead. Here is a previously published short story that concerns a certain Spanish cemetery. The narrator is Leon Cazador, a half-English half-Spanish private investigator, featured in Leon Cazador, P.I. The mass grave by the roadside was not the first in Spain to be unearthed in the last four years, and it wouldn’t be the last. On each side were carobs and bright yellow and blue wild flowers, a tranquil contrast to the macabre sight before us. Men in the trench wore gauze masks over their mouths as they lifted out human bones and strips of clothing and placed them reverently on a length of tarpaulin. Behind them stood an idle mechanical earth-digger, while beyond the fields of rosemary and artichokes rose the rugged mountains, mute witnesses to what had happened about sixty-seven years ago. I stood and watched while Clara Landera sat beside me on a green plastic chair by the edge of the road. She was in her seventies and wore the traditional black clothing of constant mourning and, despite the heat of the day, a black woollen shawl crossed her chest and was tucked into her black skirt’s waistband. Her thick dark stockings were wrinkled, like her face. Mascara encircled Clara’s old eyes, rouge emphasised her sunken cheeks, and her lips were painted carmine. As I placed a heavy hand on her shoulder, her rough palm patted my knuckles. “I have no tears left to shed,” she murmured. I understood. For many years, I’d known her as Clara Marzal until one dark evening she explained her tragic past. She had been sitting on her balcony, smoking a cigarillo, watching the television through her window. The screen showed a news item about the digging up of a Civil War mass grave. As the bottle of white wine emptied, her story gradually poured out. While a new conflict raged across the world, the old Civil War that ended in Spring 1939 still claimed many lives. The reprisals of el Caudillo and his extreme right-wing followers killed thousands of los rojos—the Communists. Nothing was said about the illegal executions and the abduction of children from their families. Clara’s pueblo was like so many, riven by fanatics of the left and the right. The Civil War was anything but civil, it was barbaric. Old wounds were reopened and old scores were settled with bloodletting on both sides. In the dead of night in 1940, five men, three women and two children were taken away in a truck by village Falangists. Clara was one of the children and her mother Jacinta was with her. After a short drive, they stopped and were told to get out. Clara was forced to watch as the men in their blue shirts and leather webbing shot her mother, her grandparents and the others. To this day Clara could not wear anything coloured blue as it brought back the memories. The bodies were dumped unceremoniously into a ditch overgrown with weeds. An arm and hand stuck out, and Clara was convinced it was her mother, waving goodbye. Nothing was done for over half a century. It was a conspiracy of silence born of fear. Even after the transición to democracy, the questioning voices were stilled. With the new millennium, however, some individuals began to claim their family’s dead. They wanted them properly laid to rest. When I drove her to the spot that had figured in her nightmares until she was a teenager, Clara was surprised how little had changed. Inland Spain was timeless, it seemed, compared with the raped overdeveloped coast. Long may that be so. We laid a wreath and on my return, I kept my promise to Clara and set in motion the paperwork for the disinterment of the bodies she claimed lay there. Months later, at the reburial, few witnesses attended. Many villagers didn’t want to know. Some had died, never knowing the truth. Others were not interested in raking over the past. “Let it lie,” they said. Pedro Jarillo was not one of those. He welcomed this solemn closure. He was in his eighty-ninth year and there was a haunted look about him, as if he could already feel the icy finger of his mortality on his shoulder. His bowed shape was slightly aloof, at the side of the small number of mourners. The hearse made its way into the cementerio, a handful of people in black walking behind. Instead of gravestones and the solitary Victorian tombs of England, this final resting place resembled a tiny town: the streets of the dead, complete with lamps and paved paths. Instead of doors and windows, there were square stone or marble niches, decorated with flowers, epigrams, religious tableaux, the Virgin Mary, Jesus, or photographs of the deceased. They were five tiers high, like elaborate filing cabinets. Whenever I visited a cemetery, I was reminded of the many mortuaries I’d been in, their cadavers lying in drawers. As the hearse stopped at the empty vacant niche, second up from the ground, two men in overalls stepped round a corner, puffing on thick cigars. They carried a pail each and deposited them to one side, then removed the coffin from the hearse and eased it into its niche, while the readings from Lorca accompanied the mortal remains of Clara’s mother on her last journey. Then the two men set to work. They placed the stone slab over the hole and plastered it secure. Clara strode purposefully up to Pedro and suddenly slapped his face. The sound rebounded off the walls of the surrounding graves. She turned on her heel and walked away, leaving loud whispers and murmurings of displeasure behind her. He nodded, let me in and closed the door behind me. The room was cool and sombre, furnished with dark wood and leather, and it smelled old, like him. “I know you are a friend of Clara,” he said, and ruefully stroked his unshaved cheek, making a rasping sound. He sighed deeply, as if letting out in that single action, years of dread and guilt. “Yes, so help me, I was.” He pointed at a timeworn leather sofa, and I lowered myself into it. He sat on a ladder-backed chair, shoulders hunched, forearms resting on his knees as he faced me. Even though his recall was surprisingly detailed, it took a while in the telling. Pedro’s father was one of the area’s Falangist leaders, short in stature and temper, with constant stubble on his face and small penetrating dark eyes. He was acting on a recent denunciation that stated their prospective prisoners had been Republican sympathisers during the Civil War. Like many in his position, he never questioned the credibility of the denunciation or the relationship of the people involved. Old enmities and jealousies were not considered relevant. “We have to be seen to be strong,” he told his twenty-two-year-old son. All the way to the home of the Landera family, Pedro had fretted, his insides like jelly. He knew what they were going to do. His mouth was dry, and his heart ached. No matter how he felt about it, he couldn’t back out and bring shame to his father. Shame had already cast its bleak shadow on Señor and Señora Landera since their simpleton daughter, Jacinta, had become pregnant. The village castigated them for neglecting poor unmarried Jacinta. “The Landera puta is not worthy of the blessing of a child,” some said. Others declaimed the morals of the young in general. Jacinta gave birth to Clara, and she was a delightful healthy child adored by all, even those critical of her family. No amount of goading, beatings or threats of eternal damnation would convince Jacinta to reveal the name of the little girl’s father. On that dark night, the Landera family and others who had been denounced were forced into the back of a truck. Tears and pleas fell on deaf ears. Pedro briefly put his hands over his ears, but it made no difference. He tried to turn his heart and mind to stone, but failed. It was not right! The rest of the journey took about five minutes, but in that time Pedro’s father had resolved what they would do. It was dark as everyone stepped down from the truck and the cars. Swiftly and unseen, Pedro appeared from behind the truck and grabbed Clara and broke her mother’s grip on the girl’s little hand. Before she could shout out, he covered Clara’s mouth with his palm, almost smothering the poor child. Jacinta screamed but nobody paid her any attention. They had expected hysterics from her anyway. The men and women and a child were shoved along in single-file further up the road, full in the beam of the truck’s headlights. Then they were told to stop and turn with their backs to the ditch. The priest stepped out of another car and took their confessions. They were all brave, even Jacinta, who had gone very quiet. As he had promised his father, Pedro forced little Clara to watch. When it was all over, he carried her over his shoulder and hid with her in the back of his father’s car. “Does Clara know you are her father?” I asked. I leaned forward and put a hand on his shoulder. His body trembled, shaking with an old grief, but still he stared down at the tiled floor. “Look at me, Pedro,” I said. He raised his head, and I feared that the light of life in his eyes was almost extinguished. As I watched the two old people standing on the bridge over the dry rio, I could see that their eyes were not dry. I don’t know what they said, but they shook hands and both seemed reluctant to let go. This is one of 23 short stories related by Leon Cazador, private eye; they can be found in Leon Cazador, P.I. available as a paperback and e-book from Amazon here. This one opens at a mass grave, as Leon sits with the elderly Clara Landera. It is about the lingering fallout from a brutal Civil War. The story of Pedro Jarillo and Clara is quietly and sadly moving. Excellent. For this year’s holiday away from Spain, Jen and I flew direct to Newcastle International Airport and stayed with our friends Margaret and Neil, who live just outside that city. We were blessed with good weather for seven out of eleven days and were able to tour the area, driven around by Neil. In the next few days I’ll post a few items about the places we’ve seen. Whenever we visit the UK, we’ll eat out at several places and enjoy the food, whether that’s Indian cuisine, Chinese, Italian or English. As a matter of course we tend to frequent a couple of Wetherspoon pubs as well. Last year, we enjoyed meals in Hampshire’s The Isambard Kingdom Brunel in Portsmouth and The Star in Gosport; while this year we went to The Red Lion in Bedlington, Northumberland twice. The structural layout of any Wetherspoon pub will differ, depending on the original building – a theatre, a nineteenth century office, a fire station or whatever. The décor will tend to follow the chain’s furniture and fittings: usually dark wood, though the walls will be adorned with framed pictures relevant to the building and environs, often with snippets of history. All the pubs offer a very wide choice of good quality food and drink. Accompanied by our friends we went to The Red Lion for Fish Friday. This pub has stood facing the main street since 1902, replacing an earlier inn of the same name; appropriately, perhaps, a police station was next door for some time! J D Wetherspoon refurbished and opened it in 2010. We received a warm and cheerful welcome from Emma behind the bar. The routine throughout the chain is simple: select a table, note the number, and select from the vast menu, and then go to the bar and supply the table number and order. Just over a week later, we were drawn to The Red Lion again, this time for a Sunday lunch (12 noon to 11pm). Emma recognised us immediately, and we took her photograph. The choice entailed roast turkey, topside of beef, roast chicken, hand-carved lamb rump, or vegetarian wellington; all served with roast potatoes, Yorkshire pudding, mashed potato, fresh vegetables and gravy; meat roasts accompanied by pork chipolatas. Appropriate sauces are available – cranberry, horseradish, for example. The meal comes with a drink (beer, wine, water, spirit, soft drink, hot drink) – for £6.49. There are children’s Sunday roasts offered too for £3.99. Not wishing to pile on too many calories, here are the special meal events we didn’t attend: Mexican Monday, Tuesday Steak, Wednesday Chicken and Thursday Curry, all at good value. The menu is an A3-sized card, crammed with choice: salads, cheeses, smoked salmon, pastas, noodles, scampi, nachos, grills, sausages, burgers, pork, chicken, chilli, burritos, gammon, hot dogs, soup. Real ales include Devil’s Backbone, Shipyard, Abbot Ale, Ruddles, plus ciders and lagers. Wines include Pinot Grigio, Sauvignon Blanc, Chardonnay, Rosé, Merlot, Shiraz, Rioja, Prosecco and Malbec, among others. If you’re not tippling, you can have soft drinks, Cappuccino etc., filter coffee, tea or hot chocolate. Breakfasts are served until 12 noon, and food is served until 11pm. I’m fortunate in that I enjoy reading books in almost any genre – whether that’s crime, science fiction, fantasy, horror, western, romance or thriller. Not to mention all those sub-genres! To me, the genre doesn’t matter so much; it’s the story that counts. 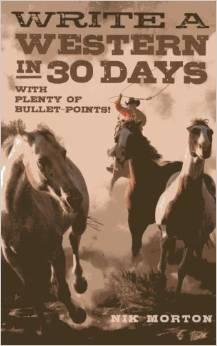 Recently, a correspondent who was re-reading my genre fiction writing guide (Write a Western in 30 Days – with plenty of bullet points!) asked me how I gained my affection for the genre. Being a child of the 1950s, my diet of fiction from television was a plethora of western series – Cheyenne, Wagon Train, Laramie, Have Gun Will Travel, Gunsmoke, The Rifleman, and Range Rider, among others. Then there were plenty of western movies in the theatres besides at least two western series on TV in any week. 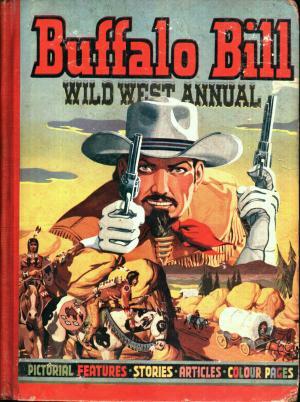 At the same time there were many comics either wholly dedicated to Western characters – Pecos Bill, Hopalong Cassidy and Roy Rogers or they featured in other comics such as Comet and Eagle and the Buffalo Bill annuals. In the Eagle I discovered O Henry’s short stories and then went on to books by Louis L’Amour, Max Brand and Zane Grey and so on. And at school, we studied Jack Schaefer’s Shane. Those western tales usually contained a moral core, where good triumphed over evil. The morality was black and white – as were the images. Moral ambiguity gained prominence with the Spaghetti Westerns in that particular genre. Of course grey characters and storylines existed before this – on the big screen in all genres. Before I left school I was writing stories and drawing comic strips. My writing took me in another direction, however, towards science fiction and fantasy and then I was drawn to crime thrillers. But I always hankered after writing a western one day. 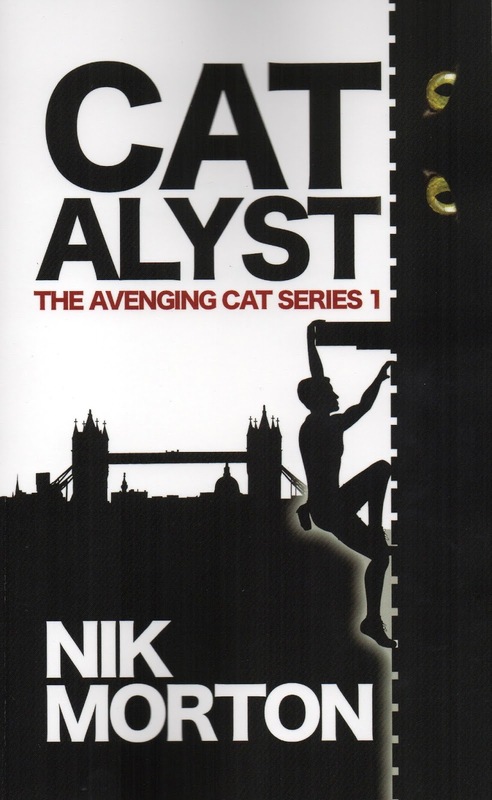 Briefly I ran a fledgling literary agency and placed one lady’s excellent book with a publisher; I tried getting publishers interested in two good writers, one who had written the sequel to Shane no less, but to no avail, so sadly I packed that in. In those young teen days I couldn’t afford to buy books on a regular basis so made use of the local library; the hushed aisles were filled with hardbacks, not paperbacks. Over time, reading taste changed and included Dracula, Frankenstein and science fiction, the latter mainly within Gollancz yellow dust-jackets. My interest in the western tended to centre upon history books of that period, rather than fiction. At about the same time I also enjoyed the modern adventurers on TV: The Saint, The Persuaders, Danger Man, Gideon’s Way, The Champions, The Prisoner et al. 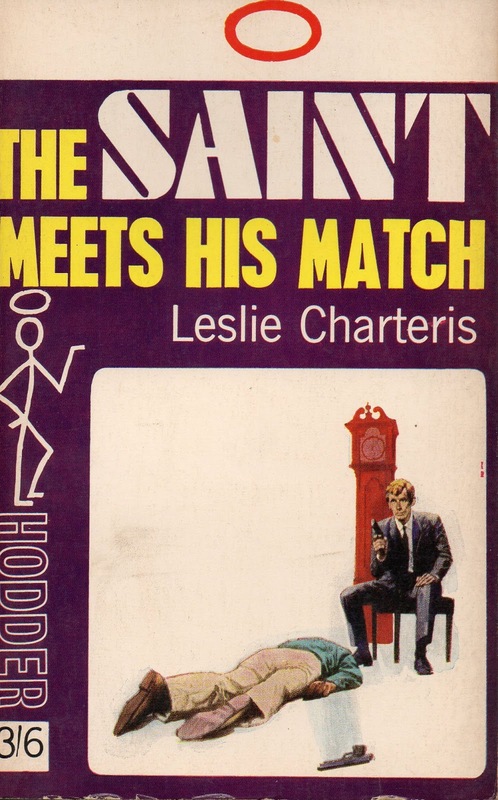 I discovered the Saint books when Hodder began publishing them as uniform paperbacks and particularly enjoyed the 1930s stories, Simon Templar’s character somewhat removed from Roger Moore’s portrayal. I discovered Agatha Christie and Raymond Chandler while being hospitalised with an upper respiratory tract infection, having been landed from my ship to the submarine base, HMS Neptune: at my bedside stood a small bookcase stocked with several books by these authors. And at sea I read the new breed of violent westerns epitomised by George G. Gilman’s Edge character. Looking back, it is difficult to determine how my affection for various genre fiction authors came about. Genre authors write good stories, I suppose, and I’ve always liked a ‘good story’. It is so much easier these days, thanks to online stores and blog reviews, to be made aware of different authors, ‘new’ to you. The downside is now the choice is bigger than ever! Naturally, browsing in book shops, twirling the whirligigs of paperbacks, reading the few weekly book reviews in the newspapers all helped me identify unfamiliar but possibly interesting books. And there are phases I passed through – western, occult fiction, true war books, spy novels, detective tales, thrillers, and science fiction. As a writer, I believe we scribes should read broadly – both fiction and non-fiction. My affection for genre fiction is still strong, but of course I read outside that label too, and always have done so. You’re probably aware of the latest pronouncement from the World Health Organisation (WHO). Are these people from another planet, escaped from an episode of Dr Who, perhaps? A professor said, ‘Cancer Research UK supports IARC’s decision that there’s strong enough evidence to classify processed meat as a cause of cancer, and red meat as a probable cause of cancer.’ And then goes on, ‘We’ve known for some time about the probable link between red and processed meat and bowel cancer, which is backed by substantial evidence…’ There’s a strong belief that there’s a ‘causal link’ to bowel cancer, and possibly prostate cancer. The IARC does not compare the level of cancer risk associated with different substances in a given category, so it does not suggest eating meat is as dangerous as smoking, though they’re in the same category! Either the IARC is not fit for purpose or the number of defined categories is too narrow. As it stands, their report seems unhelpful. Still, it keeps them in work – to bring home the bacon. Note: Baloney means ‘nonsense’ and is derived from Bologna; in the US it is another term for Bologna sausage, which may be processed meat. “Luck, was it?” Basset asked. Cat remembered that. She’d studied it. Yet another instance of scare-mongering with inadequate data and a total lack of common sense: volume of talc sales compared to the incidence of ovarian cancer? Before 1973, talc might have contained minute traces of asbestos. Talc miners were tested for lung cancer. For years lawyers have plagued cosmetic firms with lawsuits, fighting on behalf of unfortunate sufferers, but no case has been proven conclusively. Apparently, studies in rats showed lung damage caused by talc; which wasn’t surprising since they were forced to inhale talc for six hours per day for six years; she recalled the critics of the tests called it “particle overload”. Poor bloody rats. Manufacturers ensure the relatively large, non-respirable particle size in talc powder so it can’t be inhaled into lungs. These scare stories run and run, and at one point talc was even taken off some shelves, yet there was no significant statistical proof. She hated it when the science was bad science and had more to do with hubris, greedy lawyers, inadequate statistics or commercial competition than saving lives. “I suspect you’re quite good at that,” Pointer said. 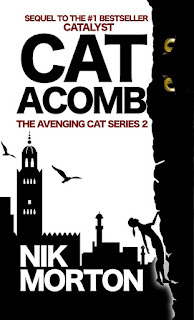 Catacomb, published by Crooked Cat Publishing in e-book and paperback formats. EU laws regarding all animal experiments have altered recently. Now, all such experiments must be classified into one of five categories that measure pain. Home Office statistics have just been released. Animal experimentation has been a controversial and contentious subject for many years. It’s thanks to this public concern over the subject that testing of cosmetic products on animals has long been banned in Britain. Advocates argue that animal research is vital if science is to ease human suffering from disease. The latest developments in restoring sight, slowing down the effects of Alzheimer’s disease, the treatments of Ebola and even work on restoring mobility to paralysed people have been at the cost of research on animals prior to extending trials to humans. Recently released Home Office statistics suggest that one in twenty of the 3.87 million animal experiments carried out by British universities, drug companies and charities in 2014 caused severe suffering. In mitigation, that number of animal experiments is 6% less than the previous year; however, the data collection method has altered so perhaps it isn’t so positive after all. Most animals are mice and rats, but there were also small numbers of cats, dogs, rabbits and monkeys - about 180,000 subjected to 'almost unbearable' pain. Len led Cat through the right-hand doorway, out into a corridor. They trailed puddles behind them. As he strode ahead, his movement emitted a weird susurration from his clothing. He flashed the light at the doors on either side, finally stopping in front of the room labelled Lab-A. “Bingo.” He chuckled. “By God, I’ve been waiting for this for quite a while.” He opened the door. She entered behind him and stepped to one side. There was a distinct ‘pet shop’ smell in the room and she was met by strange scuffling sounds. A dog growled in the shadows, the sound sending her heart into her stomach. She shut the door behind her. “Len?” she queried, apprehension in her voice. She found it and flicked the switch. Snarling, teeth bared, hackles up, the black mastiff covered the floor in swift loping strides. Len held a pistol and fired. A dart pierced the animal’s chest and it tumbled heavily to the floor, coming to rest at her feet. “That’s fast-acting,” she managed. “I’m surprised they keep him in here, poor mutt. Must be lonely.” He gestured with the empty anaesthetic gun at the length of benches. “Oh, my God.” Tears brimmed her eyes. Tier upon tier of cages in assorted sizes ran along the benches on both sides, the full length of the room. Rabbits, guinea pigs, hamsters, mice and rats – and half a dozen cats. She scanned the room. At the far end was a computer workstation and on an adjacent desk a laptop, its lid raised. He put the dart gun in his bag and pulled out a video camera, started panning left and right, careful not to get Cat in the frame. “This is just what I need.” She pulled out her Olympus camera and moved about, taking a series of photographs. Cat shuddered and ran a finger over her lips. She hadn’t put on lipstick for tonight, obviously. She wondered if she’d ever want to wear the stuff again. Yes, complex, she thought. All about unnecessary suffering and pain. “I’ve got enough, I think.” She capped the camera and put it in her bag. “All right.” Before they’d set out, Len had ranted on about the extreme activists who seemed quite demented. Digging a woman’s corpse from a grave was not only quite horrible, it was insane, he’d said. He had no wish to intimidate researchers or attract the attention of the National Crime Agency.